Every year, Le Feast invites you into a living room in Utrecht, to enjoy a feast together with people you don't know (yet). 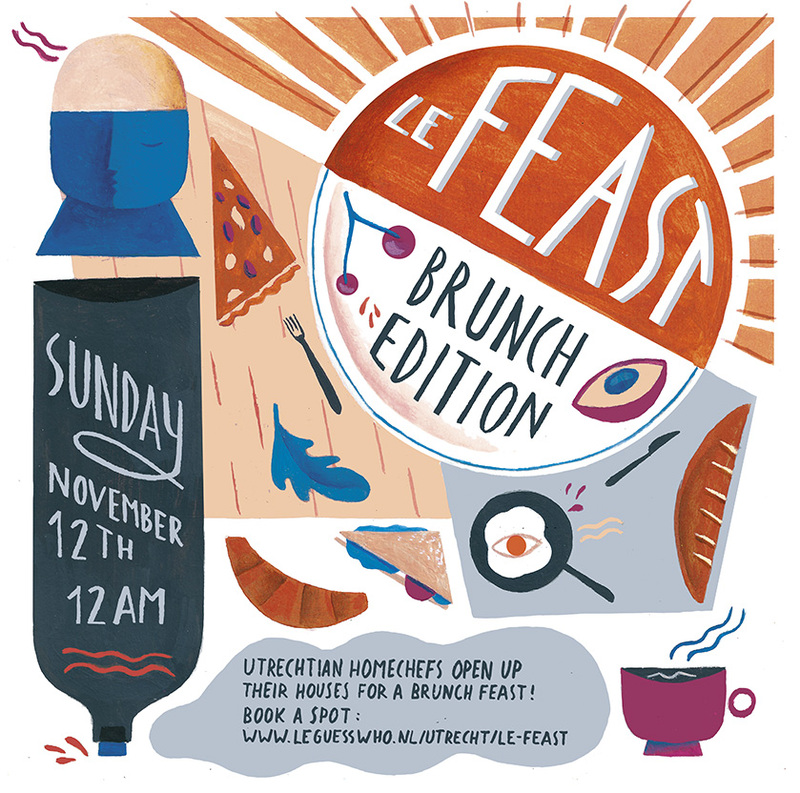 On Sunday November 12, many Utrechtian home-chefs will transform their living room into a cozy brunch restaurant, welcoming other visitors of Le Guess Who? to join for a massive brunch feast with lots of poached eggs, Ottolenghi inspired salads and much more awesome food that you crave for after three days of music (and beer, probably). Join us for brunch and make a reservation between the 17th of October until the 10th of November through ordering a ticket of €3,50 excl. service fees. You will receive the exact location of your chef only a few days in advance: where, at whose home and with whom you are going to have a brunch feast will remain a surprise until then... After Le Feast you will pay your chef 'what you want'.